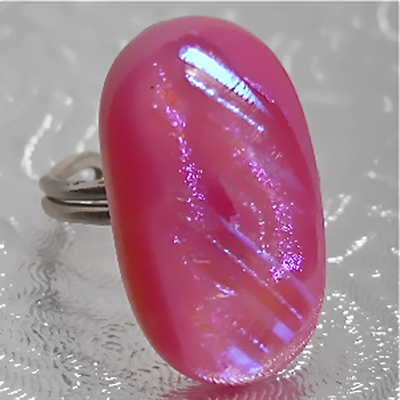 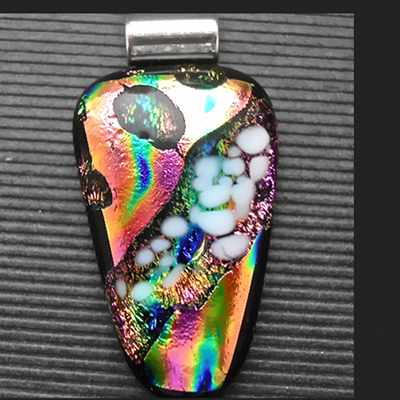 Unusual round pendant. 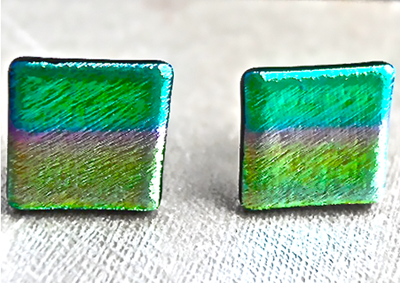 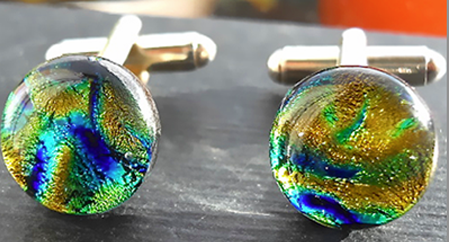 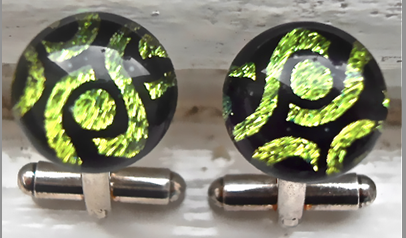 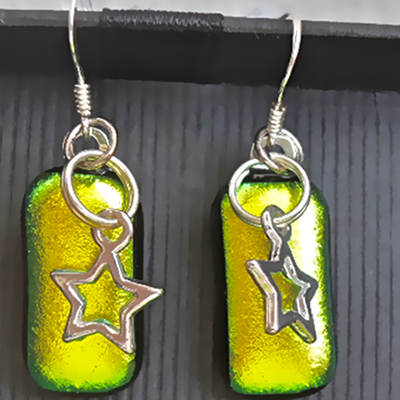 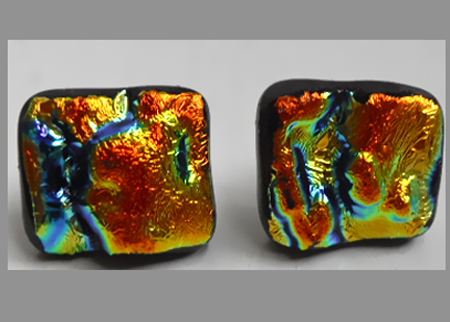 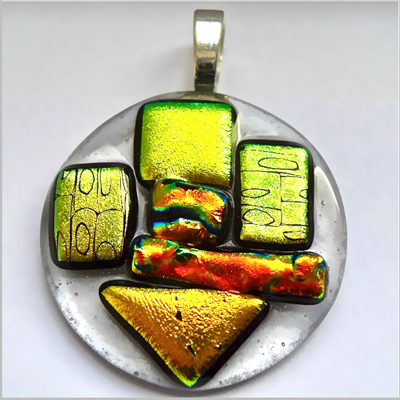 It has a clear base with geometric shaped pieces of Gold, Bronze and Copper Dichroic glass pieces.There are matching earrings. 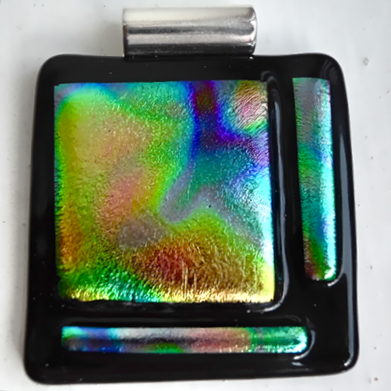 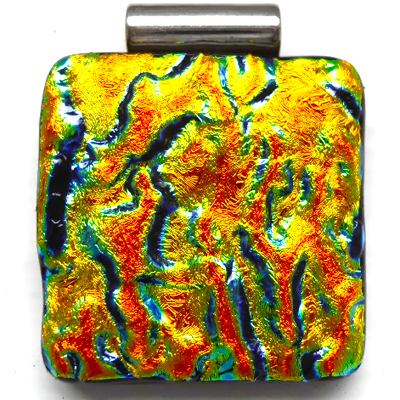 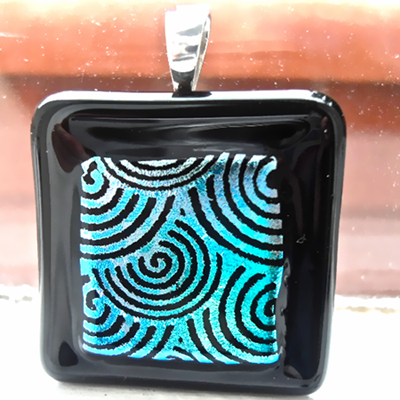 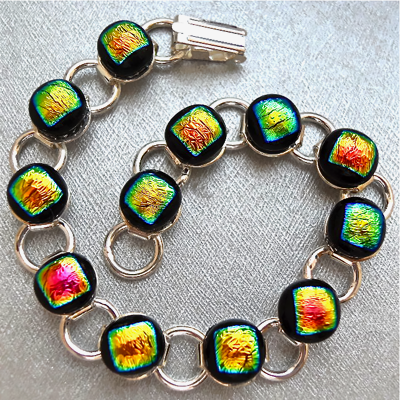 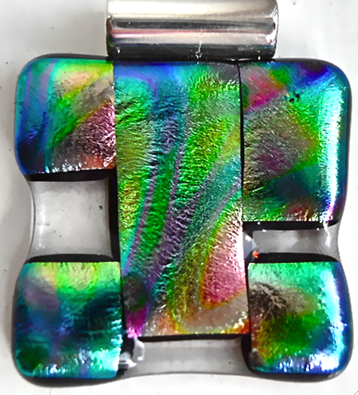 A large pendant with very vibrant patterned Dichroic glass on a Black base. 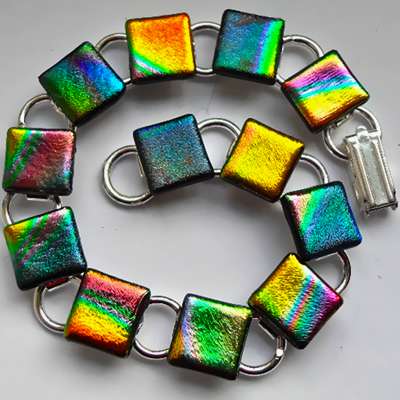 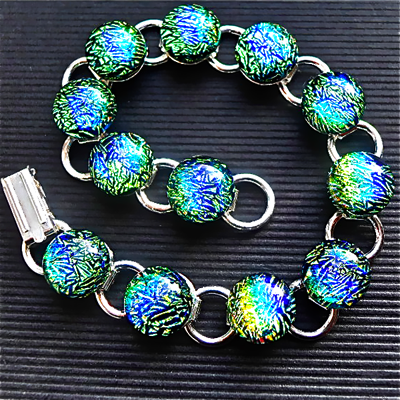 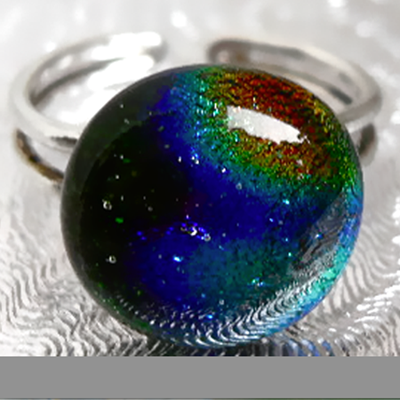 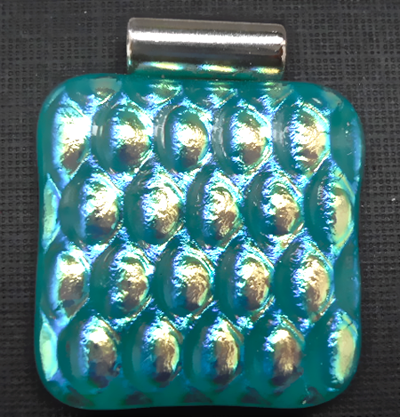 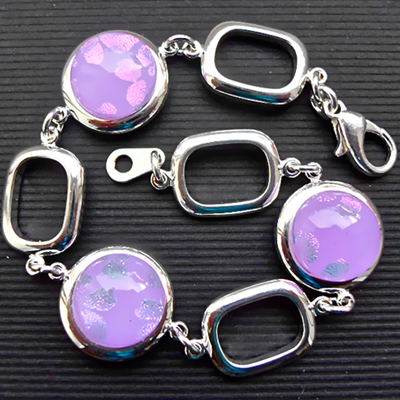 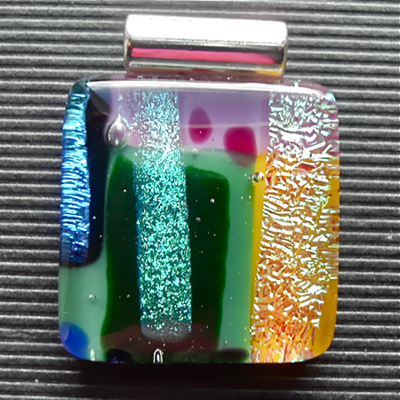 An unusual pendant - Green, Blue, Gold and Pink patterned Dichroic glass on a clear base. 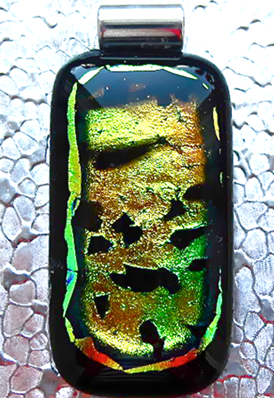 This pendant has a Jade base layer with a heavily textured layer of Gold patterned Dichroic glass on top.